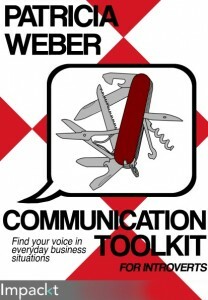 If you are an introvert, tired of playing by extrovert rules in business communications, now you can finally find your voice and be aeard. Learn how to successfully get your ideas heard in business by employing the Introvert’s Toolkit. Discover what natural strengths you have and how you can enhance them through real-world scenarios and techniques to get yourself using business communication effectively. Starting with a personal assessment, every chapter builds up your confidence when communicating by employing a mix of tips and techniques, creating inspired actions plans, and expanding on the strengths and skills you already possess. We cover a variety of areas from essential communication skills through to developing negotiation skills and conflict management – everything you need to succeed in any business setting. This guide will provide any motivated introvert with the necessary tools to build extensive communication skills and forge ahead and fulfill their potential in what many label as a more extroverted business world. Introverts: Secrets to Workplace Success. Here’s a 30 day, 3 minutes a day, video program. In 3 minutes a day, Avanoo offers dozens of personalized 30-day Programs from world renowned experts, like me! Tens of thousands of people have found greater success and happiness in their lives with Avanoo Programs. Coach.me is on online community for instant chat coaching, a community to tap into, and data to help you be your best. The Coach.me community boasts helping people with 227,848 goals from meditate to paleo to stop smoking. 3. ~ 9 Free Audios! Introverts: Independent Professionals, Salespeople, Small Business Owners – Networking Secrets for Sales Reluctance: “How I Overcame Unsuccessful Networking as an Introvert!” Sales reluctance can hit salespeople at any point in selling. Introverts in particular have innate strengths that can help us to be more successful, influential and effective. You don’t have to make ALL of the MISTAKES I have made. The next best resource to ensure that you successfully sidestep your sales anxieties, overcome your fear of rejection and demolish your devastating doubts. Here’s how you can increase your sales by at least 20% to 30% more easily and quickly, being just who you are. 4. ~ Three On Point Videos! Collaborating is what all the big, high-profile internet marketers use to build lists and passive revenue. Here are three introvert specific videos so you know the strengths your introversion can bring to joint ventures or collaborations. #1 Joint venture matchmaking: How compatible are you? 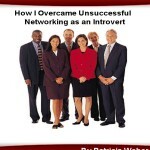 #2 Joint venture matchmaking: Bring in your introvert strength: listening. #3 Joint venture matchmaking: working independently. Get quick tips on these videos now – point to what the introvert brings to collaborative work. After you’ve had a sample of some free things be ready to get the full collaboration story. Are you convinced that collaborating or joint ventures (JVs) are a good idea but…? The truth is, you can’t see yourself in that picture… of working successfully with a JV partner? How To Have the Best Fit, How to Avoid the Belly Flop, Boost Business Success & Psychology + Soul PLUS these TWO bonuses: links for our Joint Venture Matchmaking presentation and BlogTalkRadio interview! 100% No Questions Asked Money Back Guarantee on Any Purchase. Order totally risk-free.